Recommending: this amaze hair growth treatment. If your hair is having trouble growing past a certain length, this is for you! I'm 110% obsessed with this stuff and saw results halfway through this container. Another will be purchased when I run out! 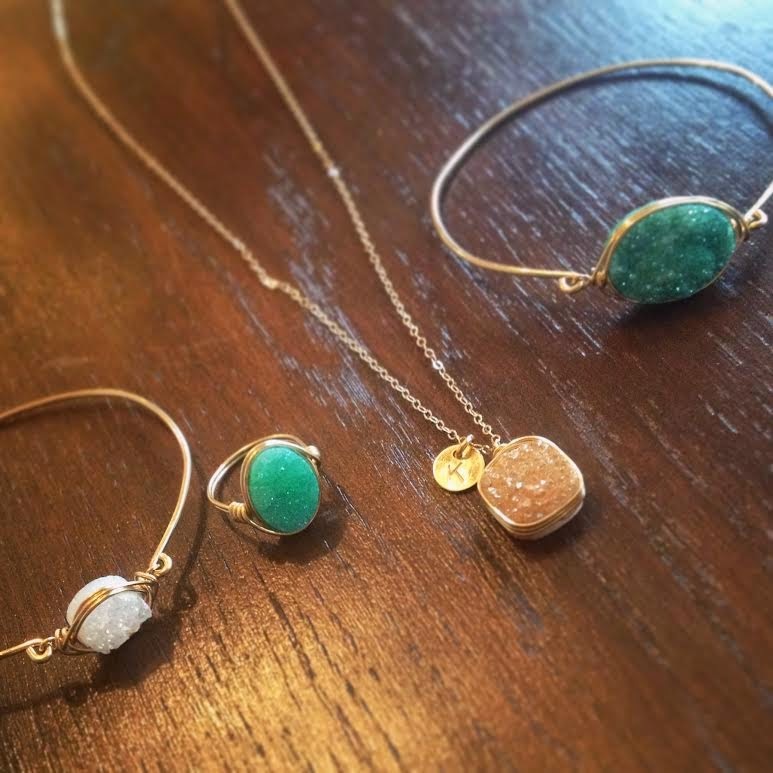 Loving: Wrenn Jewelry! I have been looking for chic pieces like this for a while and I could not love or recommend this shop anymore. Timeless and chic (and so many different stones and styles you can pick from!) They have a customer for life right here! After that? We have two weddings back to back the first two weekends in July (that me and Billy are both in!) Wedding season has official begun, folks. Share your recent favorites (or shopping damage) with me! Oh man! 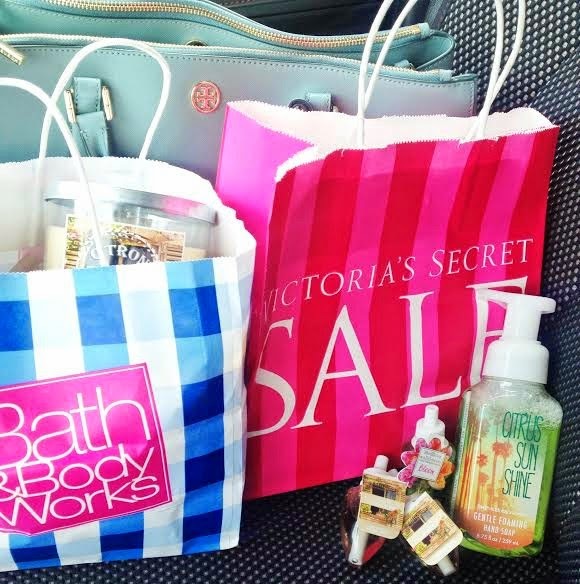 Thanks for the reminder about Bath and Body and VS sales, I need to hit those up immediately! I'm not watching the bachelorette this season, but I'm hearing it's pretty entertaining! 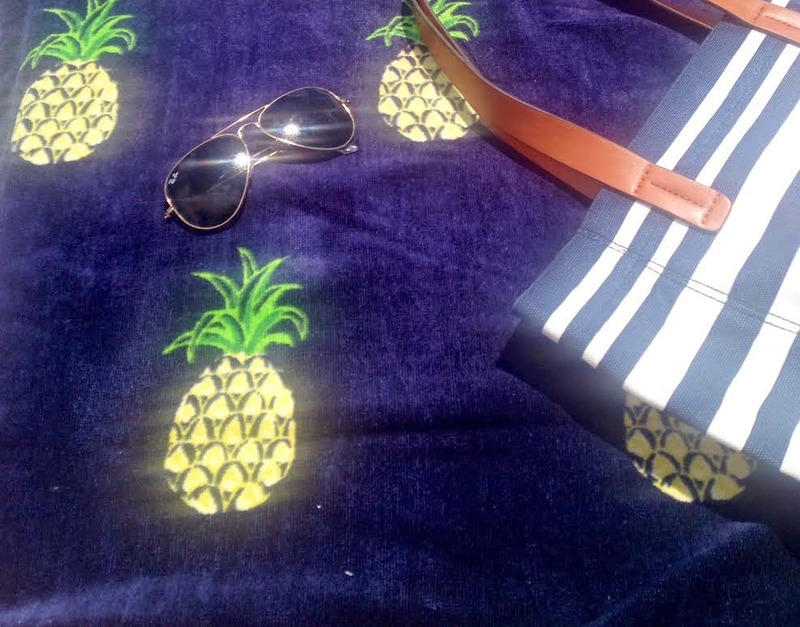 I love your beach towel! I'm loving anything with pineapples too lately. I really want the Alex and Ani pineapple bangle. It's so cute! I'm also loving that emerald statement ring! So pretty! Hope you and Rocky have a great weekend while Billy's away! That dress is precious! 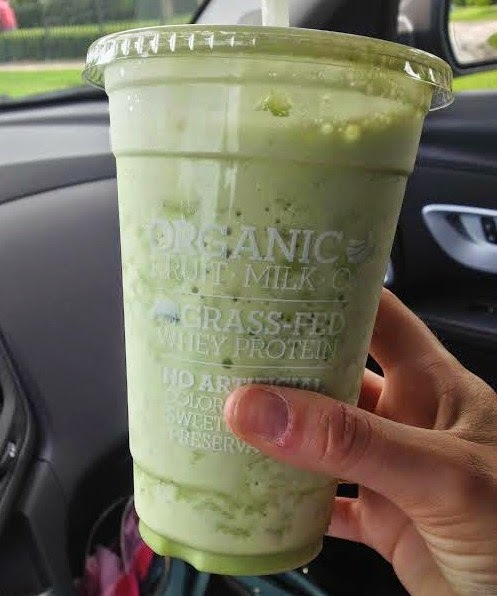 I may need to try that smoothie this week! I totally feel the same way about everything you said regarding the Bachelorette! That Wrenn Jewelry is gorgeous and so affordable! I'll be picking up some soon! I also need to try that hair treatment. I have been trying to grow my hair forever and it just won't grow....maybe that will help. Love those sandals and that dress! Mom usually goes to Bath and Body works and comes out with a ridiculous amount of sprays, candles, and body wash. So I normally just go through her million bags and pick out what I want. She probably wouldn't even notice if I just took a couple without asking...oh wait I already did that. I hit up the Bath & Body works sale and had to walk a mile back to work with those heavy 3 wick candles! I picked up poppies and suntan - which smells exactly like a day at the beach! Didn't see that cedarwood candle wish I had! I too am sad that Marquel left :( I really liked him. But I would have to say my favorite is Nick. Such a cutie. I was never much of a fan of Marcus, I don't know but something is just weird about him.